Bata Blue Wallet at Just Rs. 209 + FREE Shipping !! More Products Added !! Selling Fast:- Bata Green Wallet for Men at Just Rs. 209 + FREE Shipping !! More Products Added !! The T. & A. Baťa Shoe Company was founded on the 24th of August 1894 in Zlín. Bata India Limited the Company was incorporated at Calcutta. The Company Manufacture and market of all types of footwear, footwear components, leather and products allied to footwear trade. Bata was originally promoted as Bata Shoe Co Pvt Ltd by Leader AG, Switzerland, a member of the Toronto-based multinational, Bata Shoe Organisation (BSO). It became a public limited company in 1973 and the name was changed to Bata India Ltd.
We provides you various payment options to enable easy shopping. 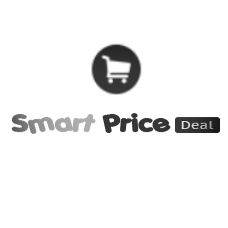 Bata offers on SmartPriceDeal include latest offers and deals from the online.